Things are looking up for the Atlantic Lions who have now spent a total of 9 days at sea. But despite the weather getting better, the Lions are now facing problems with their power supplies. After 9 days at sea we are all feeling a lot better than we were after the first few days. Our appetites are good and our ability to sleep is much better, albeit for short periods, as we are all starting to get used to life onboard Tiny Dancer. POWER ISSUES - we have had some issues with our battery and the solar panels not charging as well as they should. This together with the weather not being as sunny as we had expected has led us to take the decision to keep our battery usage to a minimum, which meant turning the sat phone off for long periods of time to conserve our batteries. So sorry if things have been a little quiet, hopefully things will soon improve, so please don’t think us rude but we feel a little communication is better than none! 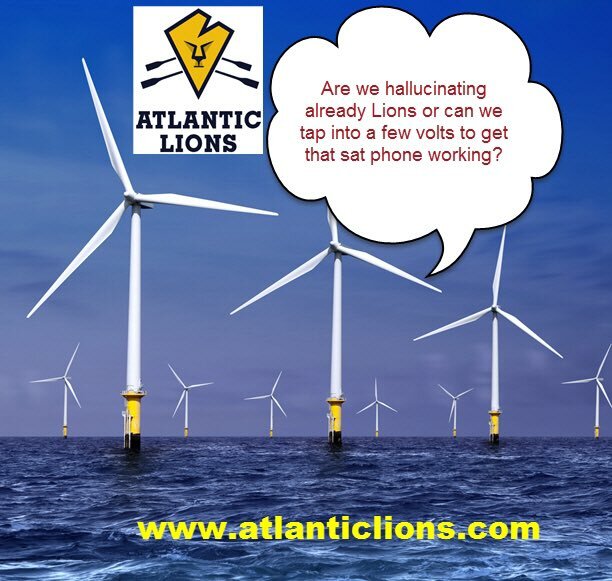 To show your support for the Atlantic Lions you can donate online or text MSAL15 £5 to 70070.